John Wesley was a man of God who was soaked in the oil of heaven. He helped to spark revival in America and across Europe with his unorthodox style of outdoor preaching. 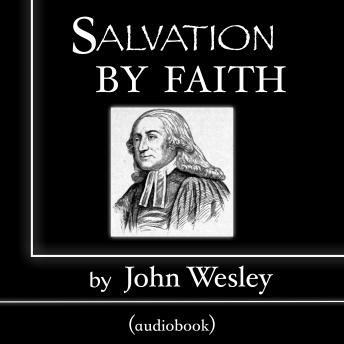 His sermon Salvation by Faith is an important piece of literature that is filled with truth and grace. It is straightforward and is a famous sermon of Wesley's. It is my prayer that this book influences you to receive all that God desires for you, and that you would be edified and encouraged to pursue Christ in holiness and humble devotion.